*Requirements: Please fill in your first name, last name, email address, and phone number so that we have a means of reaching you. Write a brief message about which child or children you are insterested in sponosring. We will reach out you once we receive your message inqury. For a monthly donation of $38 you can sponsor any of the children on this page. Simply select which child you would like to sponsor and we'll help you get involved in making a difference in that child's life. You may also contact the Missionary Sisters of Mary Immaculate by email: missionarysisters@msomi.org to let us know you're interested in sponsoring a child. In Bahati (a massive slum area within Kenya's largest city), the Missionary Sisters have established a child rescue mission in an effort to help save the lives of these little ones before more of them die. "The boys and girls here are poorer than anyone could possibly imagine," Sr. Margaret (director of the shelter) explains. "Many of the children were found at the city dump -- digging for something to eat. Once we see them there, our Sisters tell the children to come here. Once they are here, we offer them a hot meal as well as provide them medical care if they are in need." "We have also set up a school here in Bahati," she continues. "Our hope is to educate the children and help them develop skills so that as they grow older, they will have some trade that will help them find employment." 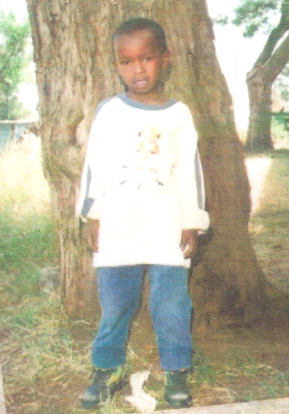 The children of Bahati need your help. Sponsoring a child is a wonderful way to make a difference that just may save their life. Sponsoring a single child is all it takes, however; there is no limit to how many children you may want to sponsor. Let us know by sending us a message if you are able to sponsor one or more children shown here living in Bahati. 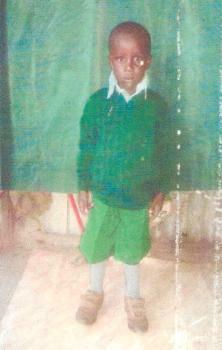 Duncan Mugambi is seven years old and the last born in a family of five children whom all have dropped out of school. The father died and left the children with their mother. They have no home or piece of land in which to live. The mother is a casual laborer who gets work at times and other times no work finding it difficult to provide meals when the mother misses a chance of casual work. Duncan is going to grade one and seems willing to attend school after completing his nursery school level. The burdens and problems the family is experiencing, a lot, is the lack of food, clothing, and other necessities. 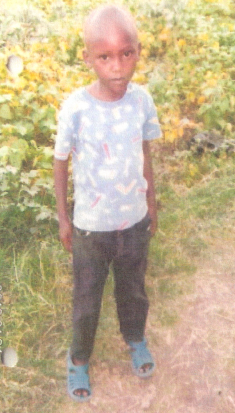 Antony's mother was left with seven children to care for on her own. She gets the daily bread for her children by washing clothes for her neighbors. Ann and her twin sister Esther come from a family of six children. Their father died in 2007 and their mother is HIV Positive. The mother does casual labor to earn money for her family but the work is not steady. They lack food, clothes and school fees. 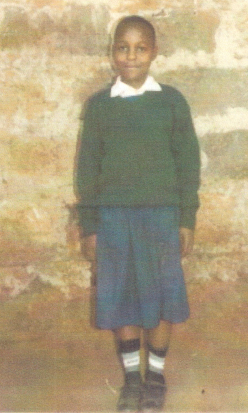 Margaret is a total orphan who lives with her elderly grandmother in a very small room in the Bahati slums. 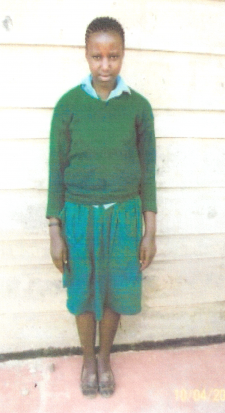 She completed class eight in 2011 but lacked school fees to join a secondary school. 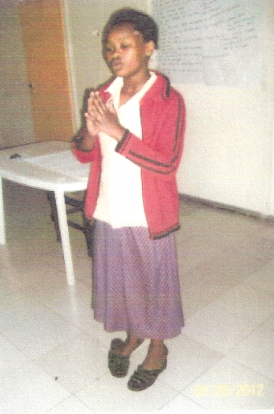 She would like to join a dress making class and hopes she can find a sponsor to support her. 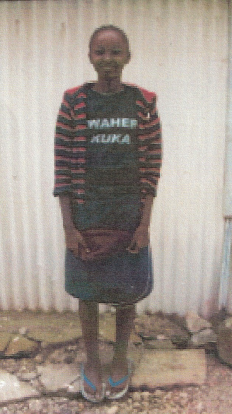 She lacks school fees, food and clothes. She is very needy. John is in First Grade. His mother takes casual labor, doing anything the Good Lord sends. But this is never enough to feed John and his siblings. They go to bed hungry many nights. 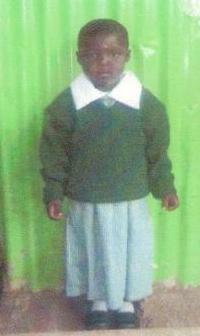 John needs school fees so he may be educated and be assured of one warm meal daily. Willis's mother was abandoned by her husband when she was pregnant with Willis. She, the mother, is a total orphan without family support. This little boy needs support! Telvin has three siblings. His mother is a single parent. She struggles to earn a living, taking small jobs like washing clothes to take care of her four children. This family lacks food, clothing and school fees. Shabel's mother is HIV positive. She does not have a permanent job so the children lack food and clothing. Serah is 6 years old. Her mother earns her daily bread by doing casual labor. She does not earn enough money to support her children and many times they go to bed hungry. They are also in need of clothing and school fees. Raphael lives with his great grandmother who is very old and lives in the Kanyago slums. His mother abandoned him and his two sisters. The grandmother is not financially stable and usually begs for money in the streets for their supper. The house they live in is falling down. 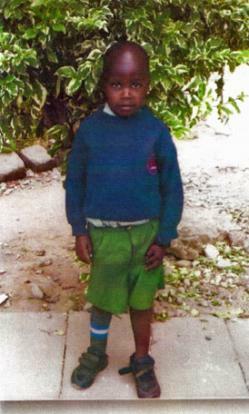 Michael lives with his mother, father and four siblings. His father is a peasant farmer. Michael does not talk. He hears but is not able to respond. He has tremors and body spasms. Michael desperately needs to be placed in a special school. 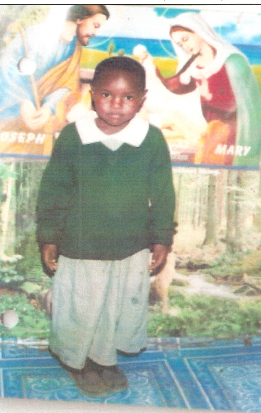 Mary was raised by her single mother who was a casual laborer for the Kenya Planters Co-operative Union. 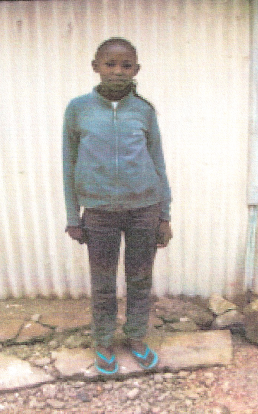 In 2002 her mother became ill and was found to be HIV positive. As her mother's condition worsened Mary was taken to live with a guardian. 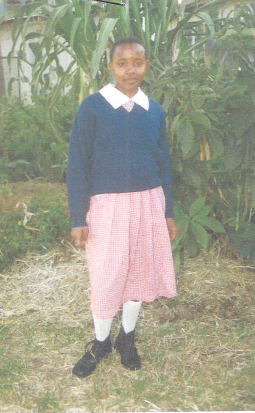 She now attends St. Agnes Girls Boarding school and is in class six. 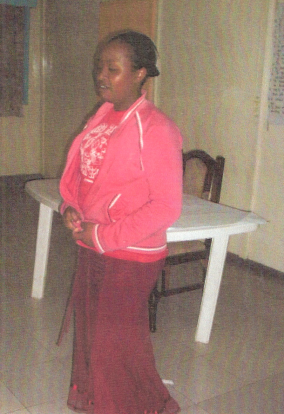 It is with a lot of hardship that she has continued school since her mother is jobless and sick. She needs assistance to be able to continue with her education. Peter's mother is epileptic and mentally challenged. 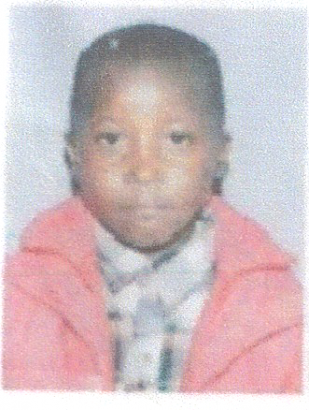 She disappeared with his two year old sister in 2001 when she left the house to get water and never returned. He lives with his great grandmother who is his only living relative. She struggles to provide Peter with food, clothing and the education he so desperately needs. Harrison and his mother live with his grandmother. His mother struggles to provide for the family. She looks for casual work to put food on the table. This poor little boys lacks basic needs. Ezekiel is in secondary school. His mother does her best to provide for her six children. She does casual labor, but it's not always enough to buy food for her family. They sometimes go to bed hungry. 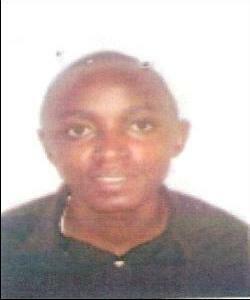 Ezekiel lacks food, clothing and school fees. Eric is one of six in his family. 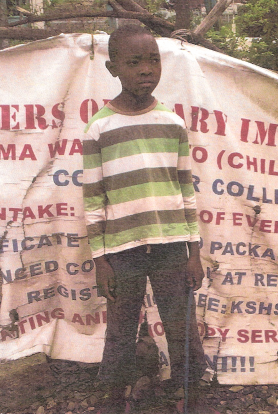 He is a total orphan who was recued from the streets of the Kiambiyu slums. He is 19 years old and should be in high school. 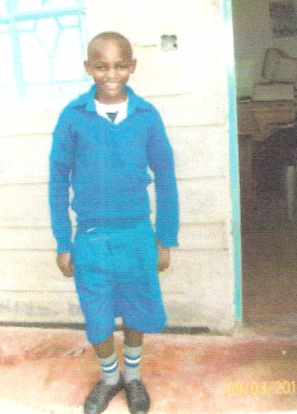 Eric is very interested in receiving an education but he lacks the funds for school fees and for his basic needs. 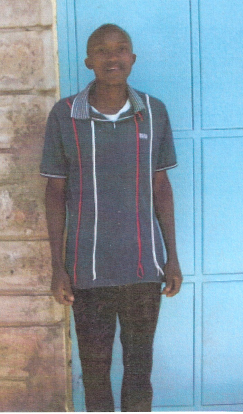 He needs a sponsor to fulfill his dream of receiving an education. Doreen is in grade seven. Her mother is single, physically challenged and unable to work. This child is extremely poor and needs support to stay in school. Clement is in grade seven. He comes from a family of six. His mother is single and struggles to provide for her family with the little money she earns from casual labor. The children often go to bed hungry. 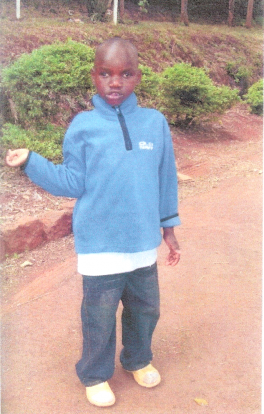 Clement lacks food, clothes and school fees. Christine's mother is single, poor and sickly. But this young girl is working through her struggles. She received the BEST of her 7th grade class. She is very clever but lacks the basic necessities of food and clothing. 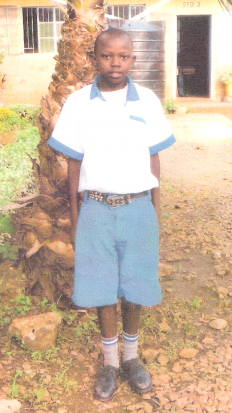 She needs a sponsor for her school fees so she can attend secondary school. Alex's father passed away leaving her mother to raise her and her four siblings. The mother is very needy. 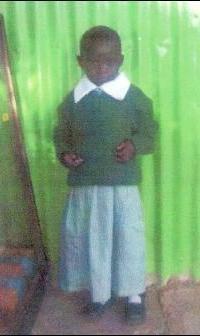 Alex needs a sponsor in order to complete her education. She is a very clever girl, among the best in her eighth grade class. Ishmael has a single mother. He is a sickly boy. He needs the basics of food, safe shelter, and a chance to gain better health. He is always at home due to lack of school fees. Ishmael kindly needs your help! John's mother is HIV positive and very sickly. She is unable to work. 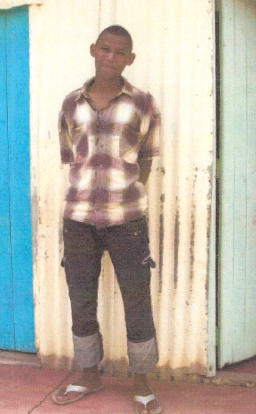 He completed Form 4 in 2010 but has been idle since due to lack of school fees, food, and clothing. He is very desperate. John desires to study fine arts since he is a real artist by nature. He needs support to return to school. Can you kindly support him? Eric is in Class 5. His father died of HIV/AIDS leaving his three children and their mother behind. They do not have any family to turn to for help. Eric resides in a single room with his mother, two siblings and his cousin, who his mother also cares for. 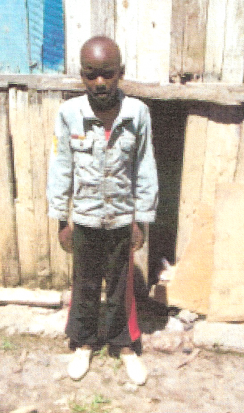 Eric's mother is also HIV positive and is too weak to look for casual labor to feed her family. They lack food, clothing and school fees. Eric is in desperate need of your help. Faith was born to a single mother whose salary is too little to feed and educate her four children. in secondary school, but her mother cannot afford to pay her school fees. 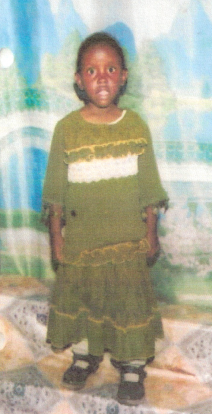 Please help Faith receive an education so she can improve her life! Benjamin is in class one. 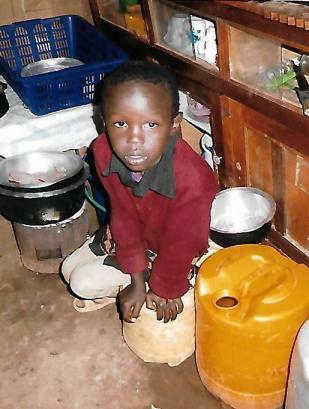 His mother relies on casual labor for food, clothing and school fees for her three children. She struggles to provide them with these basic needs as work is sometimes hard to find. her education and improve her life? yet she has taken in another child who was orphaned and destitute. This mother deserves our help.